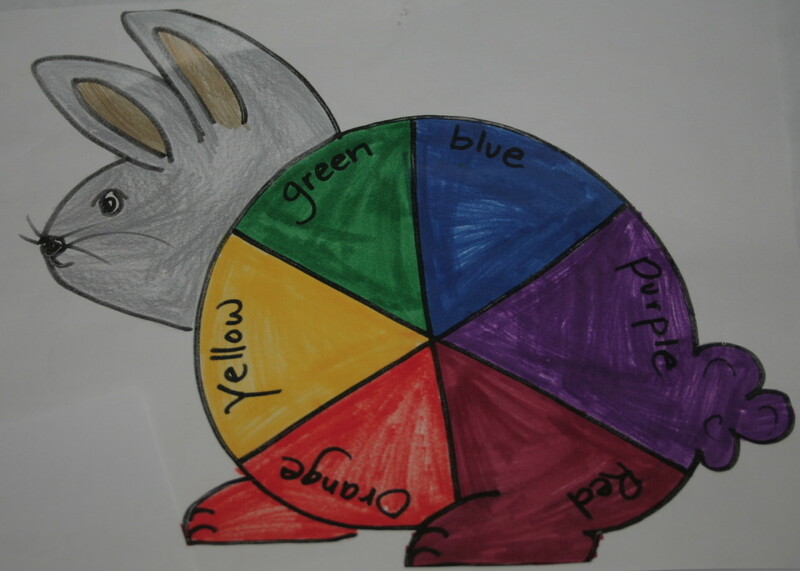 My daughter's first color wheel. The basics of an artist's color wheel. Primary colors are blue, red, and yellow. 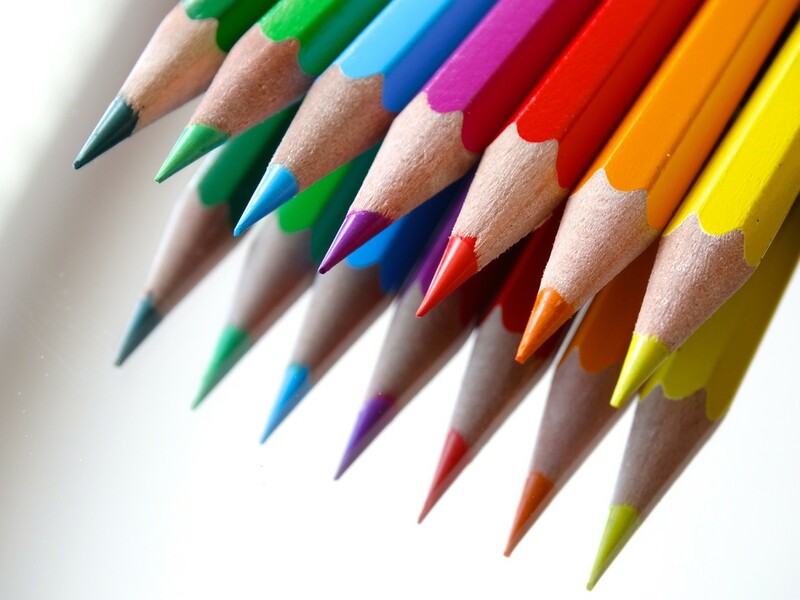 Secondary colors are green, orange, violet or purple. Tertiary colors are red-orange, red-violet, yellow-orange, yellow-green, blue-violet and blue-green. A color wheel is an organized collection of color that shows how to combine hues from primary colors, secondary colors, and complimentary colors. The color wheel is a basic concept. My daughter learned about it in art class during second grade. Applying color wheel methods to our scrapbook pages isn't always as easily mastered. Sometimes, it's not at all easily accomplished to appropriately pair two colors that form a synchronized union. 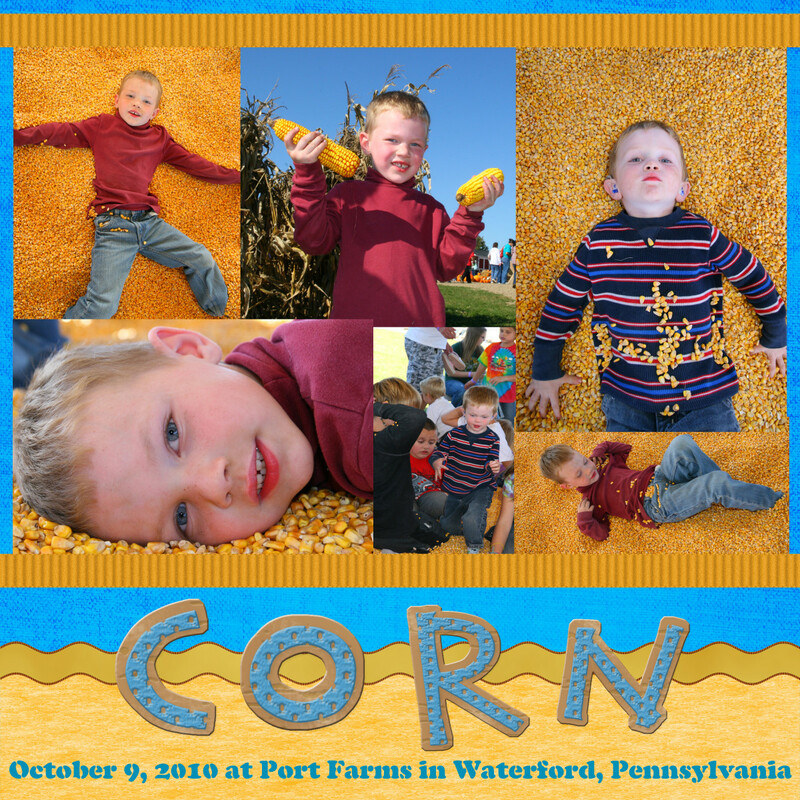 In this article, we will explore color schemes and enhancing our photos within a scrapbook layout. 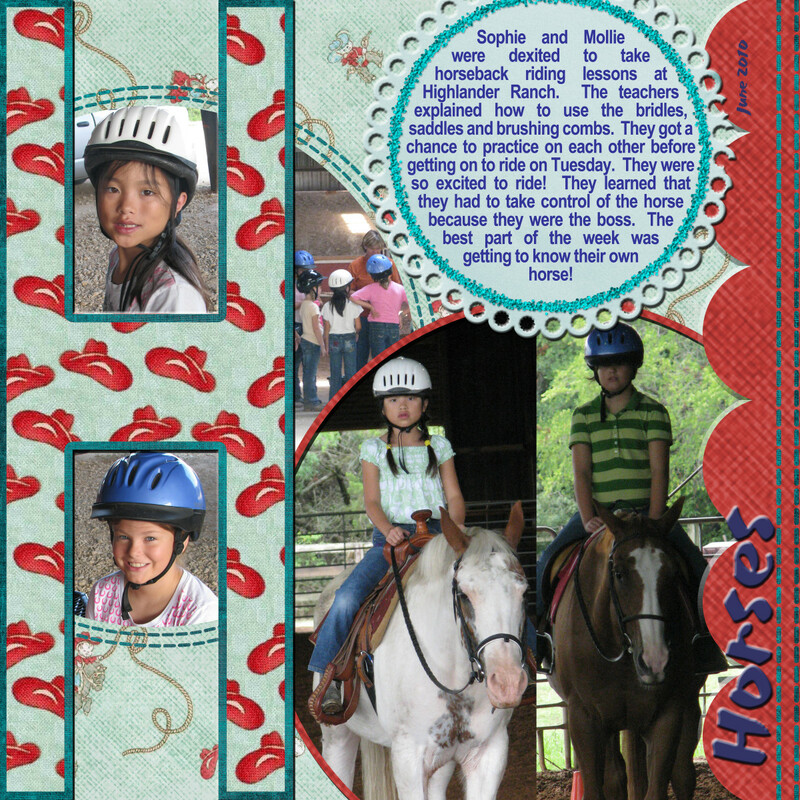 Pairing color in a scrapbook layout. 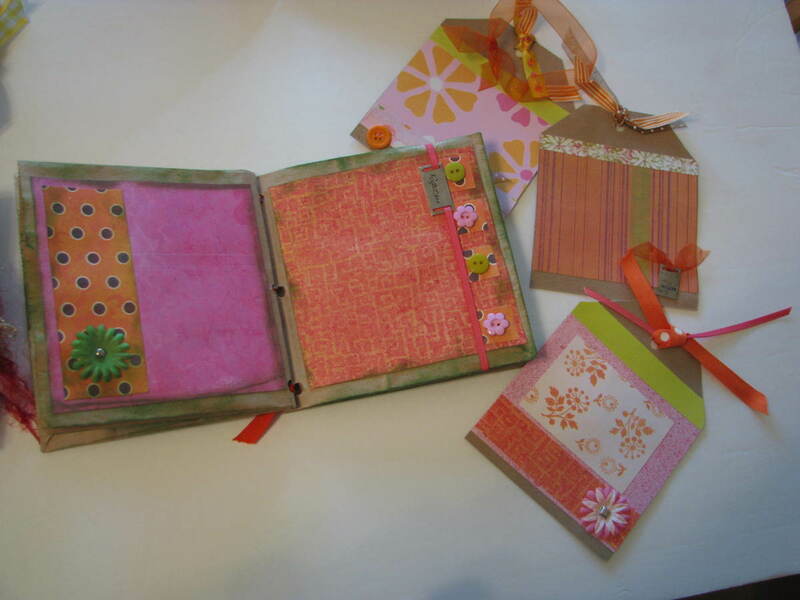 Do you like plain or colorful scrapbook pages for your photos? When I create a scrapbook layout, I look for any materials in my art studio that I connect with the color scheme I have chosen for my photos. 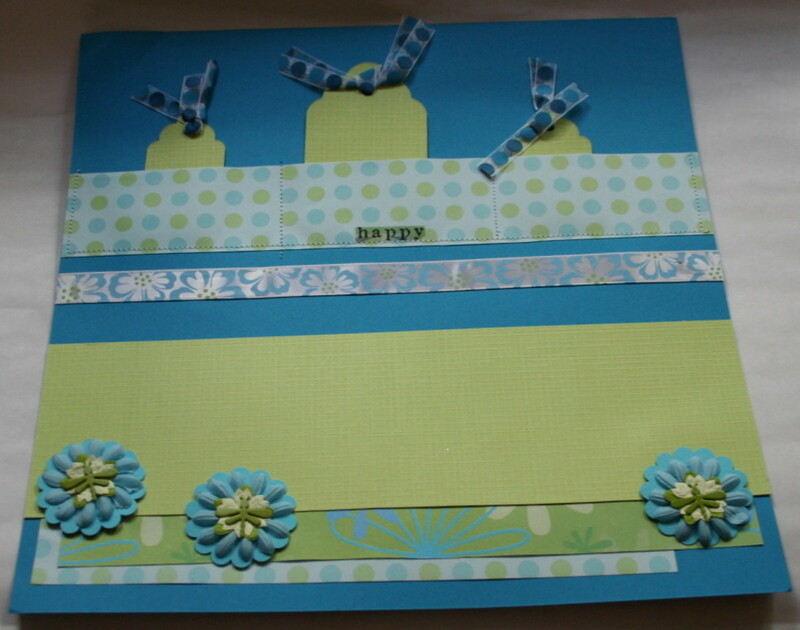 For example, in the "Happy" scrapbook page I created above, I combined hues of blues and greens. I found ribbon with blue and green polka dots. I also found flowers, brads, and other coordinating embellishments that matched the cardstock. Most of this is by chance. Often times I will go shopping for scrapbook supplies and can easily pair up different materials for a scrapbook layout. Many times, however, it takes exhaustive searching in my stash of supplies to come up with matching paper and accessories that compliment one another. Using same color through different tones. In the greeting card I made below, my inspiration came from floral and plaid fabric used in a child's outfit. 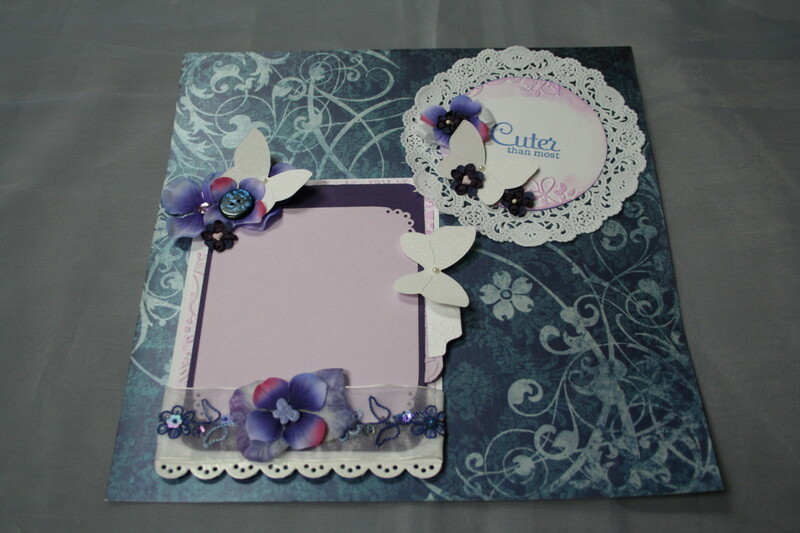 I incorporated striped paper, green ribbon, lavender die-cut flowers, and purple punch-outs in butterfly shapes. This color combination is inspired by nature. Green for grass. Purple for flowers. Most often, when I get crafty inspiration, it's from the nature I observe outside of my window. Sample of using different tones of purple and lavenders. Common inspiration for color in scrapbook pages. Where do you find inspiration for your scrapbook pages? Avoiding over powering photos in scrapbook pages with color. The main ingredient to a scrapbook page is a photograph that you wish to preserve. Keeping in mind that the scrapbook page has to be balanced, we don't want to over power the main ingredient with loud colors that take away from the photo on display. But it is fun to decorate our photos with beautiful, bold colors that add something to the photos. Common strategies for choosing color. Look through colorful children's books. Look through a home decorating magazine. 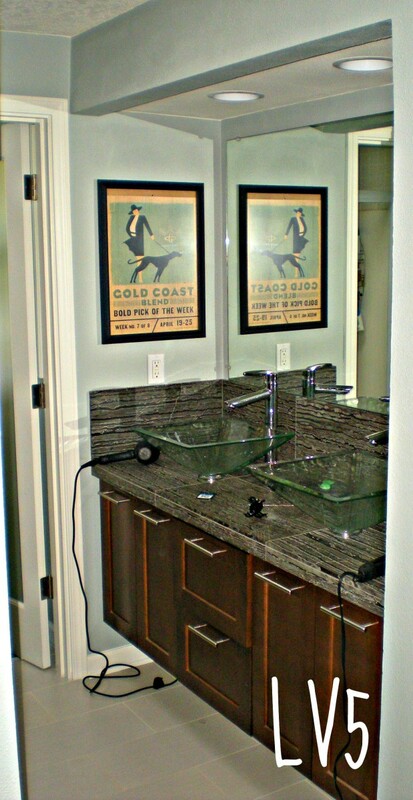 Watch a home channel on television to get inspiration from professional designers. Drive to a country setting. Observe nature before you. As seasons change, the world expresses different color palettes. Fabric and clothing offer a world of pre-matched color designs and schemes. 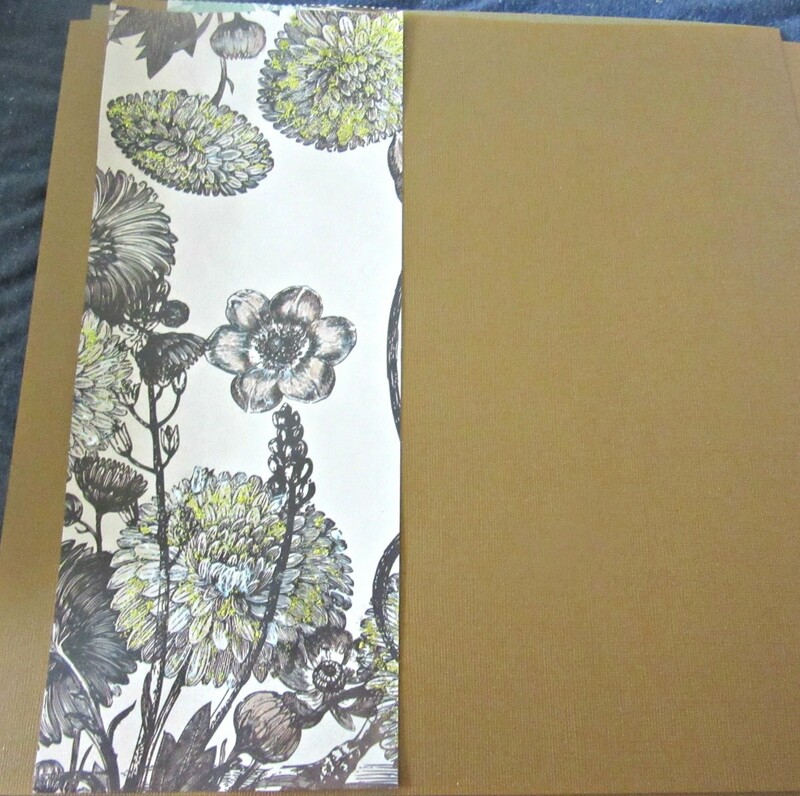 Patterned scrapbook paper is a good place to start as a base for incorporating colorful embellishments. Hardware stores have paint chips on display with guides as to pairing color. Craft magazines offer information on combining color and style. White becomes warm or cold depending on which color it is mixed with. Black is a strong color. Mixed with white, it becomes neutral. Monochromatic refers to a scheme made of one color and various tints and shades. Analogous refers to a scheme made from colors next to each other on the color wheel. 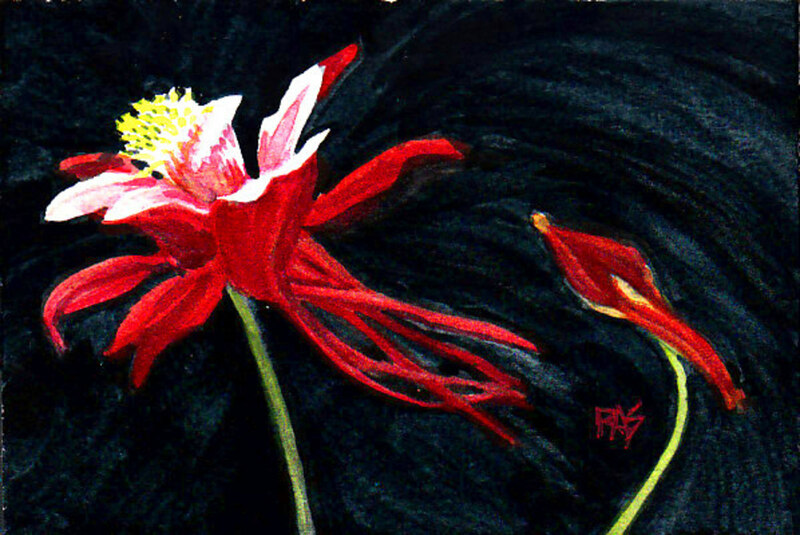 Complementary refers to a scheme made from opposites. Split complementary color scheme is made up of one color plus two colors that are analogous. For example, green and red plus purple, red and orange. Triads refers to a color scheme composed of three colors equally spaced on the color wheel. It's alright to mix plaids and flowers, butterflies and polka dots, stripes and swirls. Mixing prints and colors go naturally together. Make sure though that when you mix prints and colors, that they each have the same color palette. It's also ok to keep a solid color for the background and use a second solid color for accent embellishments. Printed Cardstock and solid photo mats. 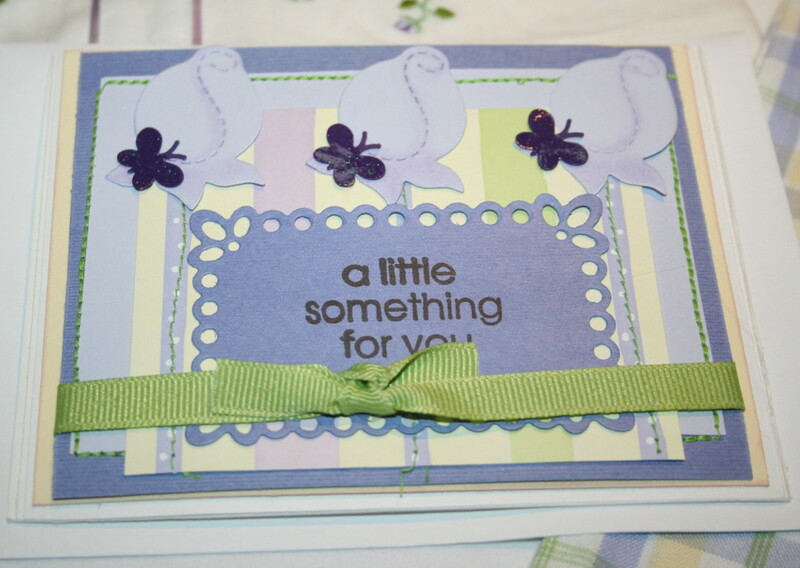 For this scrapbook layout, I saw this cardstock piece. It had glimmer. I liked it. It became the sole inspiration for the finished craft. By adding complimentary colors in shades of dark blue, purple, and lavender, it was evident that a little pink and white could be incorporated to give it a final touch. The ribbon at the bottom of the photo mat is also embroidered. This gave the mat dimension against the printed cardstock background. Think about the natural occurrence of color in nature. My rose bush has several colors. 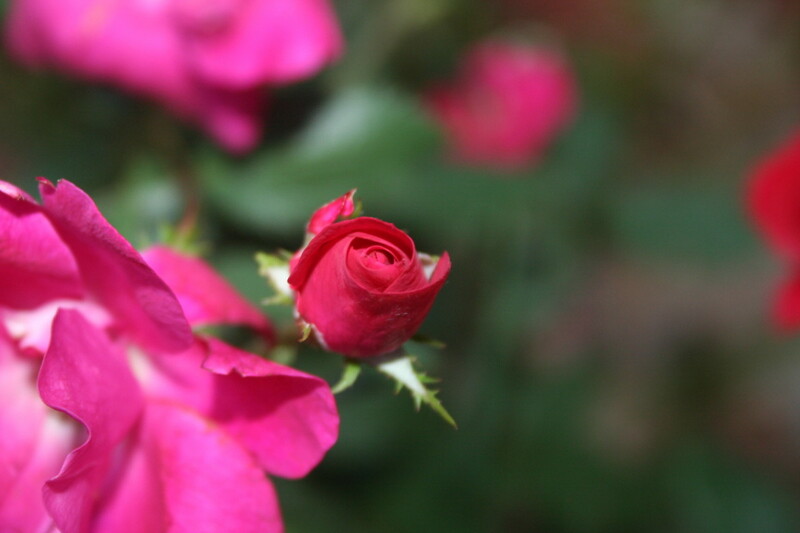 I have several rose bushes strewn throughout my yard. Here is an example of one that has multiple shades of reds and pinks on the same stem. 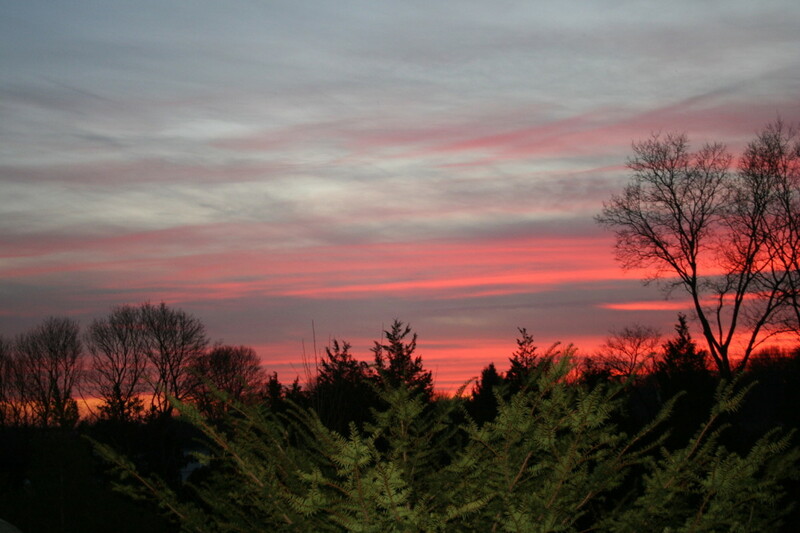 Consider the colors in a sunset. This beautiful sunset captures hues of gray and light reds against a green row of trees. Consider the colors at the beach. 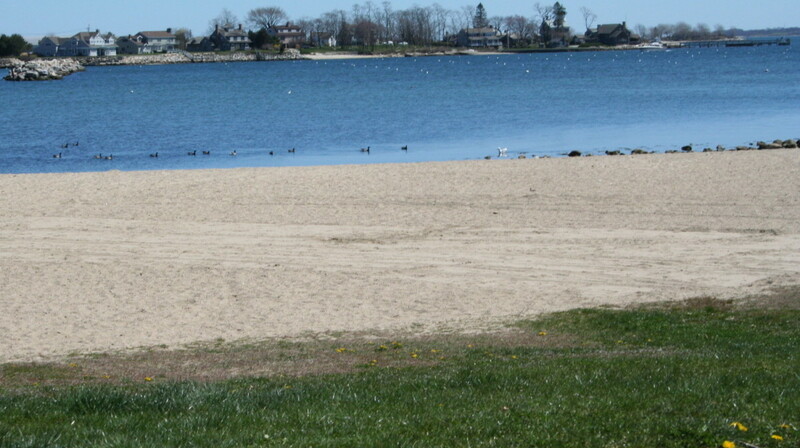 This photo shows green grass, tan sand and blue water. The possibilities are endless for mixing colors to use in scrapbook pages. I don't know if you've ever watched baking shows on television, but I have to admit I'm the first to get energized for scrapbooking. 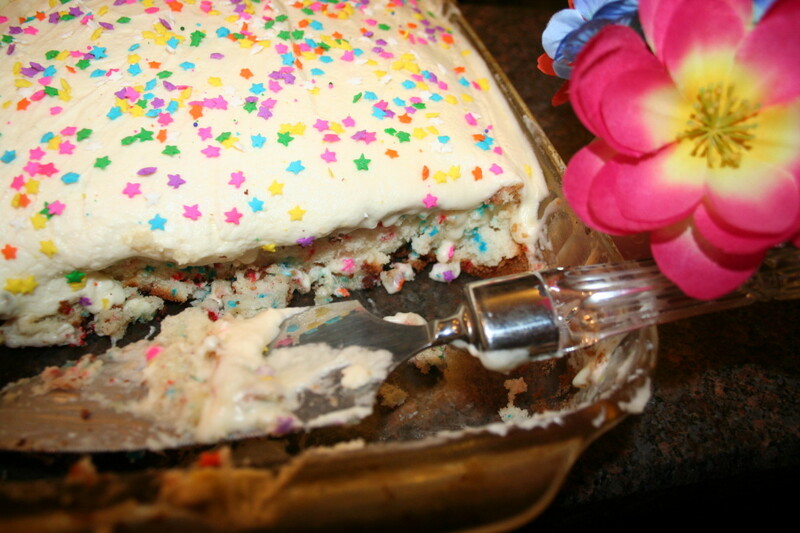 My creative juices flow from all of the clever color combinations used in cupcakes and cakes. Baked goods are "food for thought". When you pick a photograph to scrapbook, keep in mind that the photo truly is the focal point of your page. I have done some pretty wild scrapbook pages, over-the-top colorful. For this picture, I chose accent pieces first. I liked the way her hairband looked and used elements to frame that in such as the flowers. 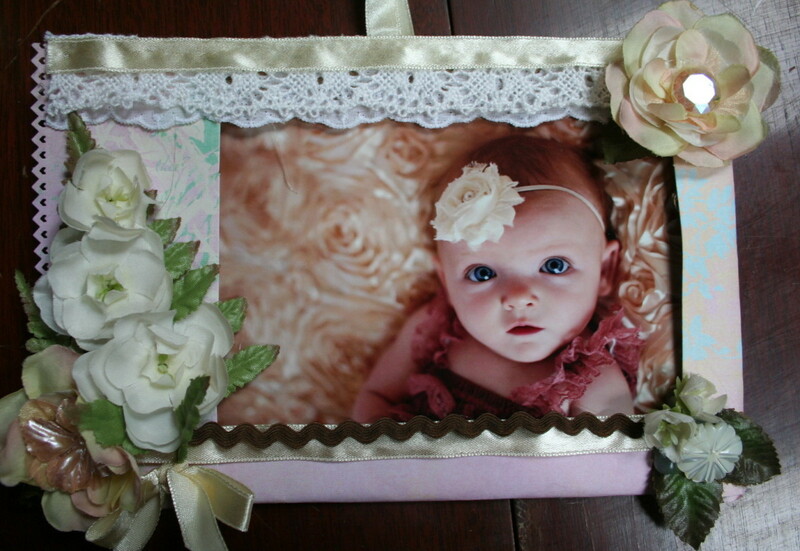 I also used satin ribbon trim to highlight the satin background the infant was laying on in the photo. When you start with a photo for scrapbooking and use it for your inspiration, remember to keep the photo the main focal point of your design. There are ways to make a busy page look calm also. Maybe we'll explore that next time. My experience with mixing colors that compliment each other are still in beginning stages. I'm well off from achieving expert status at this for sure. One thing I do know though is the possibilities for mixing color are endless. There is no right or wrong answer. While there are some colors that simply do not go together, most of it is up to imagination. When I'm sitting down to begin my next scrapbook layout, I visualize what I want the page to represent and what colors most accurately reflect my vision. I hope you have found some inspiration in visiting this article today. A good explanation of how to use color with vivid examples from nature Herself. I love scrapbooking when I am not writing. You have to document your fun so that later there are beautiful memories to look back on with others. I find that scrapbooks are wonderful memory joggers years later. Voted up and more! Hi ignugent! Oh that's interesting! I've noticed at different local craft stores the scrapbook sections are shrinking. Thank you EP and pstraubie! Yes, I do use the same concept in greeting cards as well. I'm still learning all about this myself. The whole idea came from watching home shows a few years ago. One of my favorite designers was Candice Olsen from Design on a Dime, I believe, but I haven't seen her on tv in years. 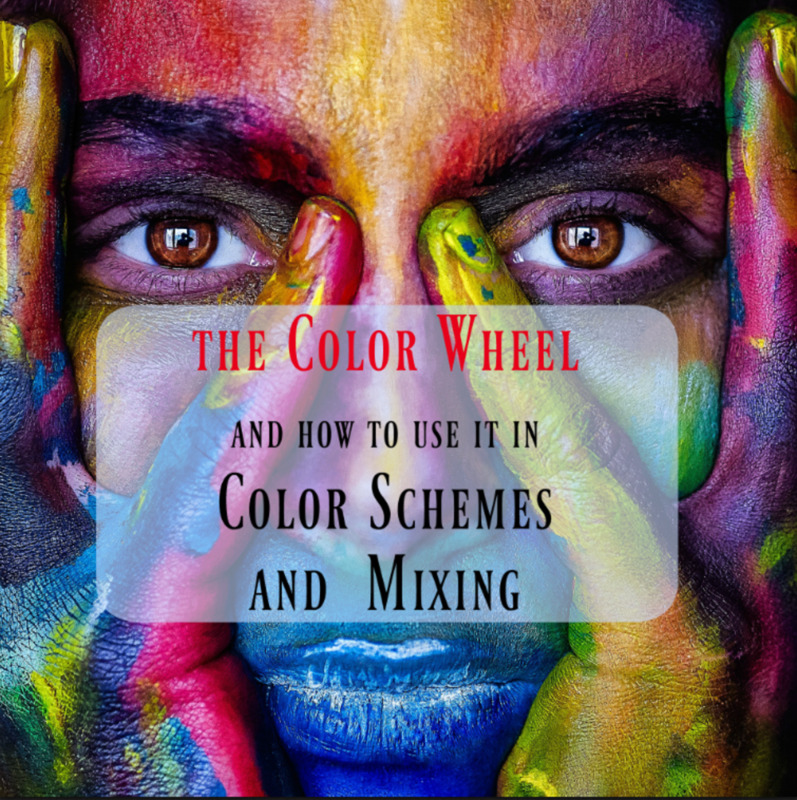 Using a color wheel can be very helpful when scrapbooking as well as when making cards. Finding just the right colors that work takes a bit of patience and produces a lovely end result. Looking around in nature too such as the beach as you pointed out gives us more ideas for coloring blending. Wow, I am really impressed and I love the way this all came together. Though I never realized it, I suppose I use the same concept when creating my bracelets. I always found that when I combine colors that I see in nature, I like the bracelet more. For examle, lavender with peridot (like a purple flower with green leaves), always looks great on bracelets. Thanks for sharing this well-written and informative hub. I loved it! Hi Billy! Thank you! I'm starting out sluggish, but the weather is changing. Maybe the tide will turn for the better for all writers with the cooler air. Well, I'm not into crafts but I am into good writers, so here I am once again. Nice job....explained it all well...good writer's voice. :) I hope you are having a great week so far.